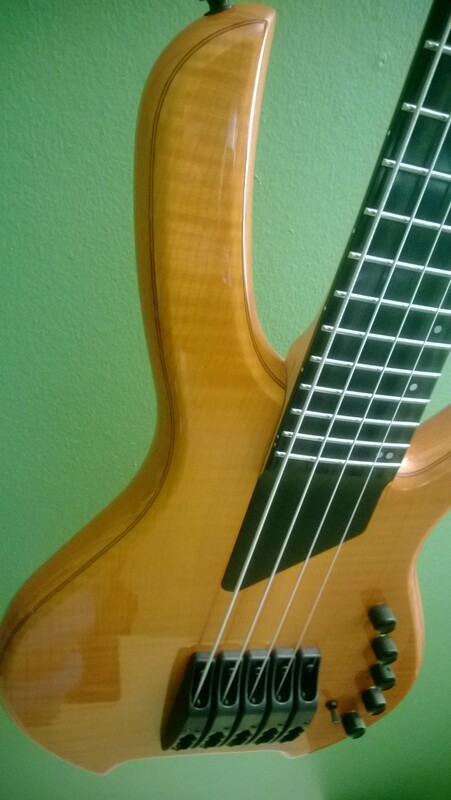 My 5-string tenor bass has the note range between a guitar and a bass. To totally geek out my open tuning from low to high is A D G C F with my high F the same gauge as the second highest string on a guitar, the B string and my low A is the 2nd lowest on a bass. Also my capo open tuning from low to high is E B E E B if you're curious. 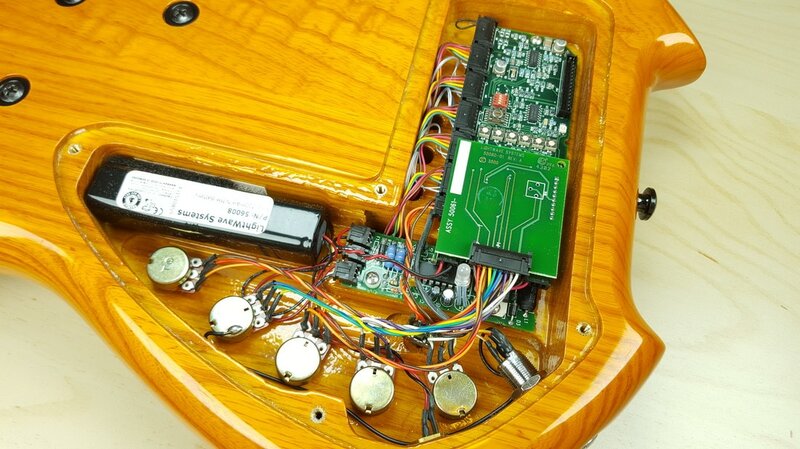 In my search for a new bass, I was looking for basses that had more than just the normal magnetic pickups. 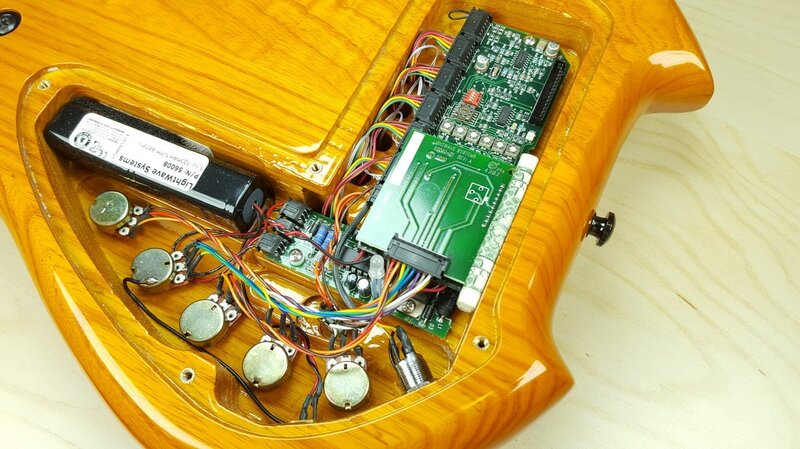 I thought I wanted a crazy piezo pickup system but then I found a Wikipedia page with pickup technologies which led me to optical pickups. 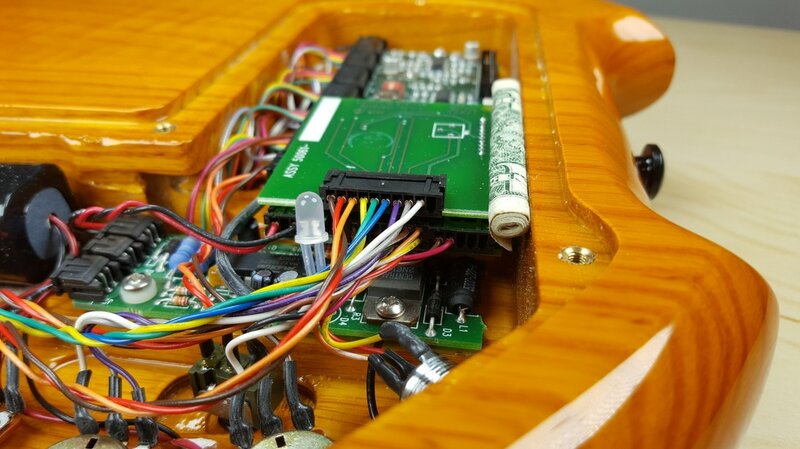 After looking who does optical pickups well the answer was simple, Willcox Guitars. That is the story how I found my favorate bass, the Willcox Guitars Lightwave VL 5-String Bass.